GESUNCER is an International Technical Support team dedicated to the complete manufacturing cycle in the industrial and artistic ceramic sectors. The Group is composed by several affiliated companies strongly active in Spain, Turkey, India and Iran. 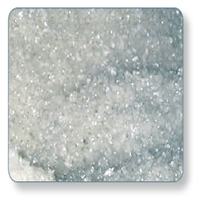 GESUNCER is a Company with remarkable production capacities of standard, special frits and of pigment oxides. The Production Departments are equipped with full automatic systems for production and packing of compost glazes with quality control procedures during the production and before delivery. Our presence in the global market is assured by our direct commercial services and several local distributors or commercial agencies but we insure central technical activities within the international ceramic manufacturers. Our frits are developed using a selection of the world’s best raw materials, which undergo high-temperature fusion during production. Our continuous production process allows us to offer permanent high quality products at the most competitive prices on the market. Now, thanks to heavy investment in R&D, we can offer full range of products, from the most economical frits for commercial products to high-tech frits for more sophisticated products. A glaze, which is generally applied over an engobe, is a vitreous layer that serves to cover the material/ceramic with an even, impermeable film. It can come in any of the following finishes: opacified, matt, gloss, satin, rustic, metallic, lustre, coloured, neutral, transparent and opacified. Taking into consideration the body onto which it will be applied, the firing technics and the application system, LTI International Technical Support develops each glaze according to its final use requirements. For example, easily washable, scratch-resistant, slip-resistant resistant to the action of chemical products etc.